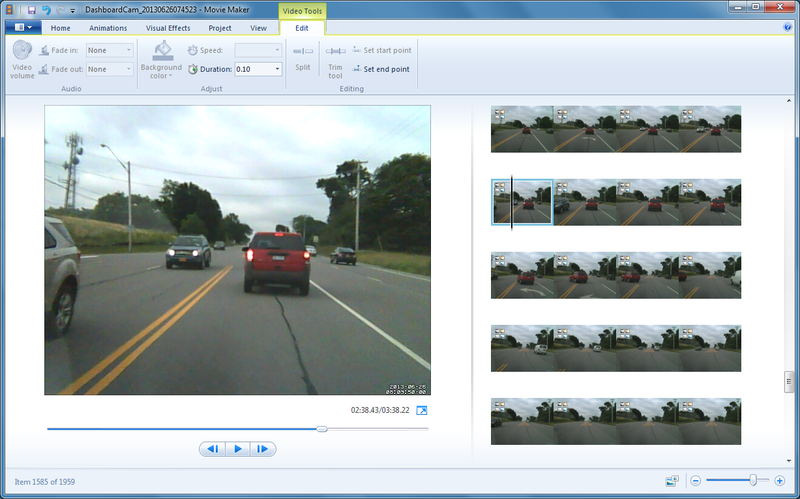 If you read my post, Raspberry Pi-Powered Dashboard Video Camera Using Motion and FFmpeg, you know Motion with FFmpeg on a Raspberry Pi makes an ideal dashboard camera system. 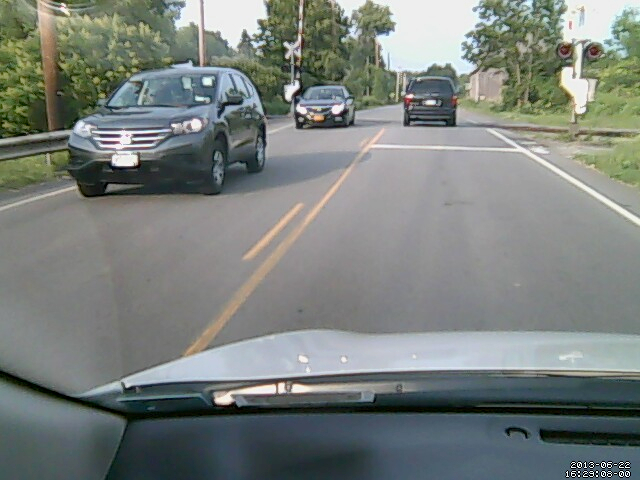 However, an issue I still struggled with when using the dash-cam was Motion running without a webcam connected. 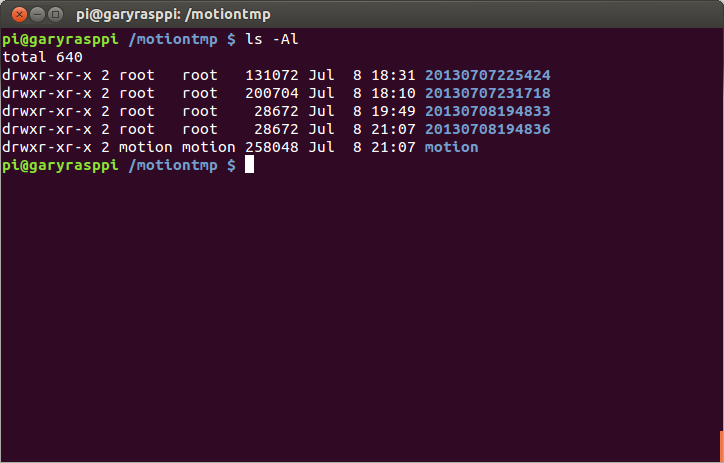 When I start my car, the Raspberry Pi boots-up, and subsequently, Motion starts. No interaction with the Pi is required. 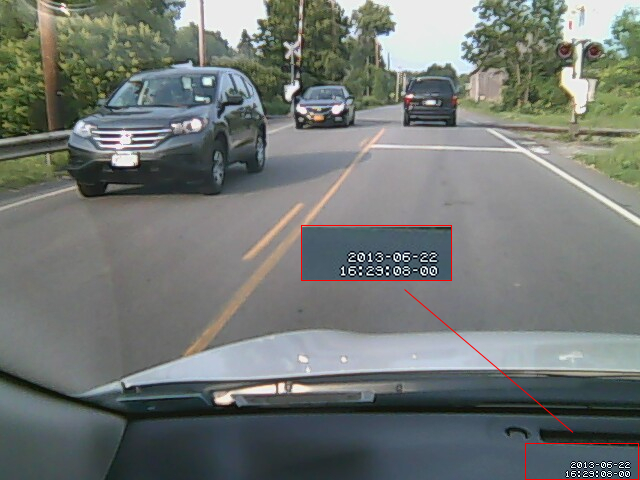 The dash-cam starts capturing images and making the time-lapse video. However, when I get home and plug my Pi back into my local network, Motion starts up again and starts recording blank images and creating the time-lapse video, even though there is no webcam connected. To get prevent Motion from starting up without a webcam connected, I’ve added a simple function to the Motion startup script. When the system calls Motion on startup, the new function checks if a webcam is connected. If not, it immediately exits the script, without ever starting Motion. No blank images or empty time-lapse videos are created. This saves a lot of wasted processing on the Pi. It also saves a lot of wasted time moving videos and images off the Pi that end up being blank, because no webcam was connected. You should see similar output to the example below. Note your webcam’s ID(s). 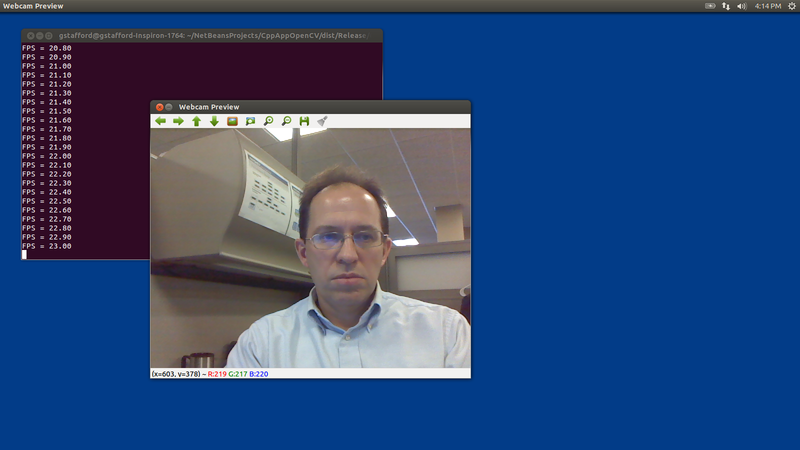 I ran the command twice in this example, to identify both of my webcams. 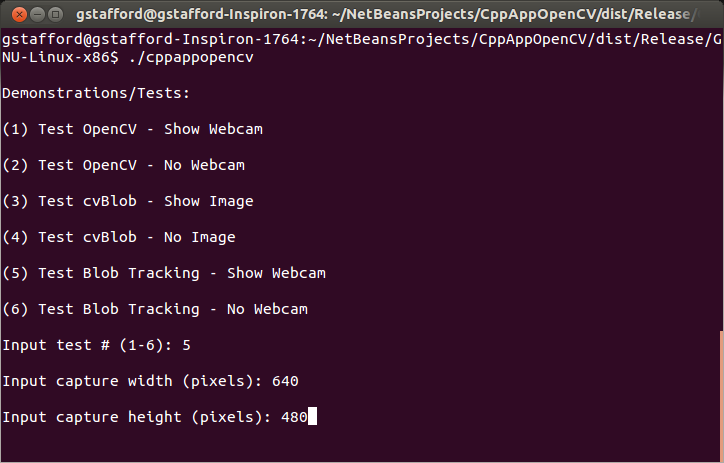 There are several ways to detect your webcam, depending on you Linux distro. I found this post particularly helpful, The Webcam HOWTO. echo "No webcam found? Shutting down Motion!" You will need to modify the function, changing the string ‘0000:ABCD’, to match your webcam’s ID. If you change your webcam model, remember to update the ID you entered in this function. Next add the following statement to the beginning of the ‘start’ function. This code calls the new function when Motion’s ‘start’ command is executed. 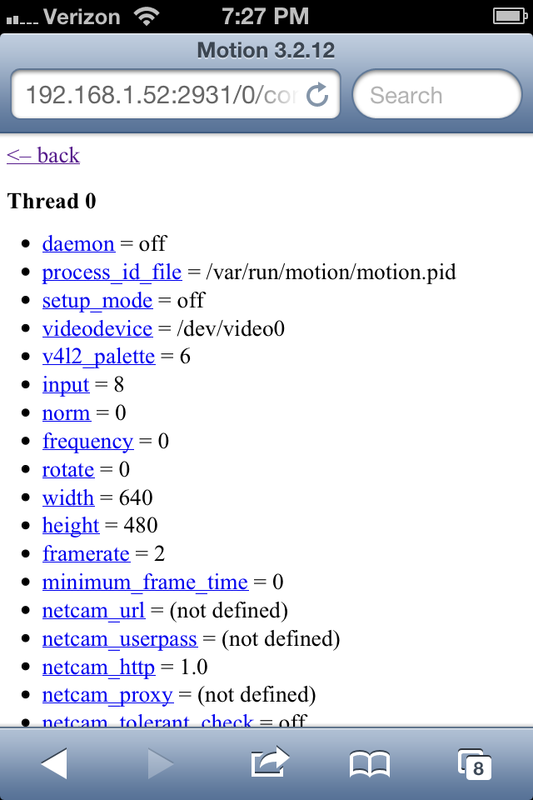 If no webcam is found, the Motion script exits without starting. 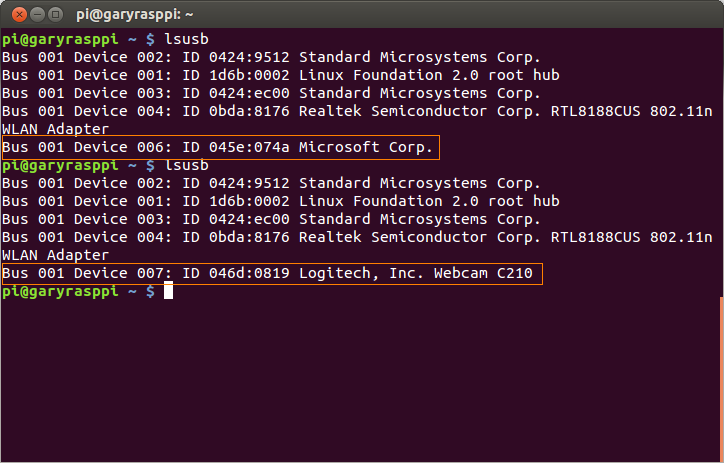 In my example below, I have two possible webcams that might be connected, so I search (grep) for either ID. No webcam found? Shutting down Motion! 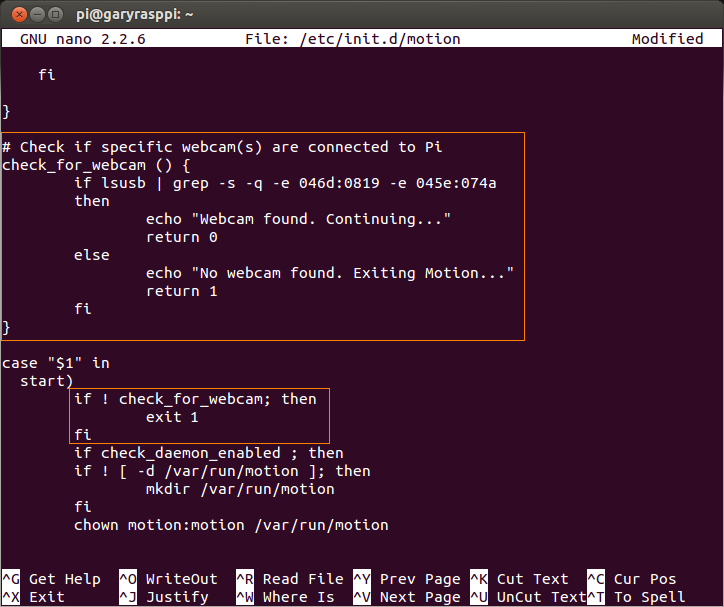 Now, when you start the Raspberry Pi and don’t have a web-cam connected, Motion will no longer automatically start. Just remember, if you don’t have a way to interact directly with your Pi, you will need to restart the Pi to get Motion running again after connecting a webcam. 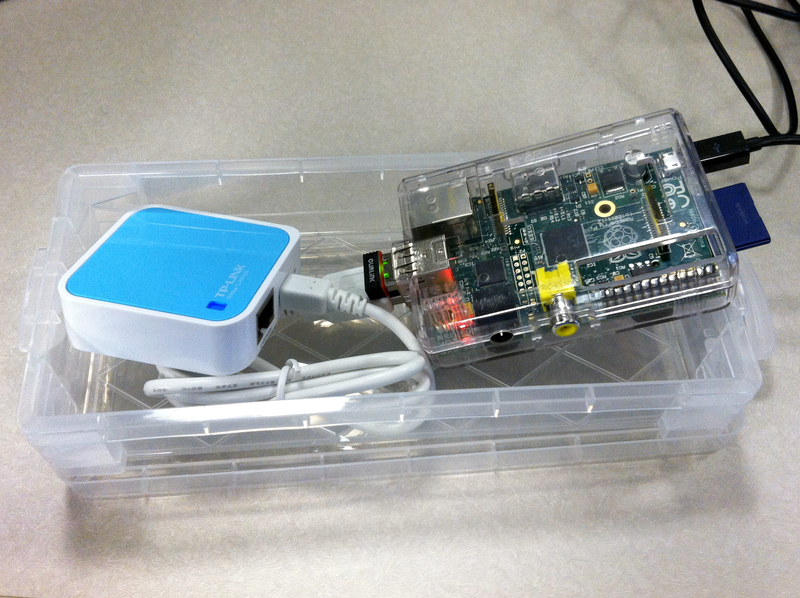 Use a low-cost nano-size wireless router to connect to your Raspberry Pi while traveling. 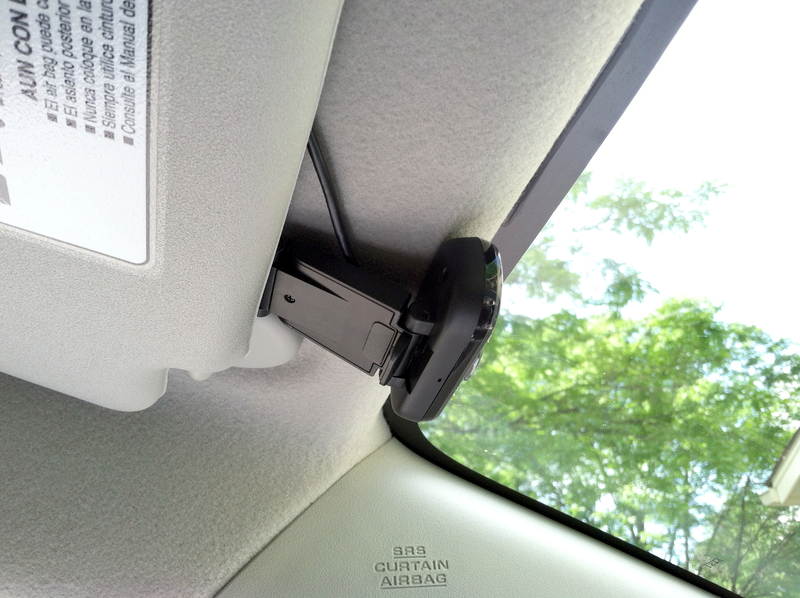 Set up your own private wireless network in your vehicle, hotel, or coffee shop. Recently, I purchased a USB-powered wireless router for to use with my Raspberry Pi when travelling. 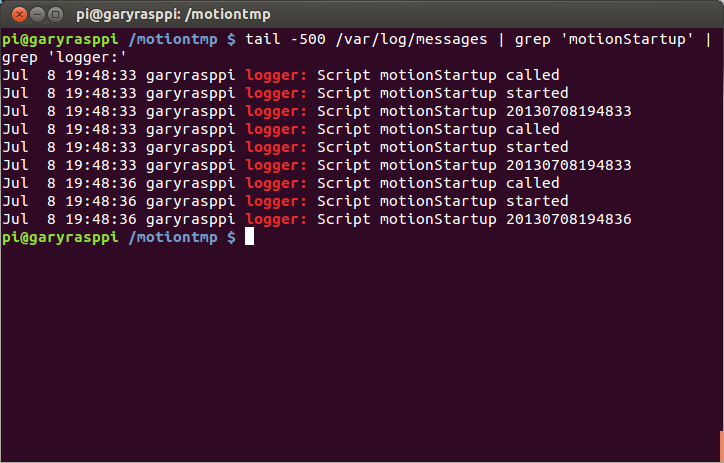 In an earlier post, Raspberry Pi-Powered Dashboard Video Camera Using Motion and FFmpeg, I discussed the use of the Raspberry Pi, combined with a webcam, Motion, and FFmpeg, to create a low-cost dashboard video camera. Like many, I find one the big challenges with the Raspberry Pi, is how to connect and interact with it. Being in my car, and usually out of range of my home’s wireless network, except maybe in the garage, this becomes even more of an issue. That’s where adding an inexpensive travel-size router to my vehicle comes in handy. I chose the TP-LINK TL-WR702N Wireless N150 Travel Router, sold by Amazon. The TP-LINK router, described as ‘nano size’, measures only 2.2 inches square by 0.7 inches wide. It has several modes of operation, including as a router, access point, client, bridge, or repeater. It operates at wireless speeds up to 150Mpbs and is compatible with IEEE 802.11b/g/n networks. It supports several common network security protocols, including WEP, WPA/WPA2, WPA-PSK/WPA2-PSK encryption. For $22 USD, what more could you ask for! 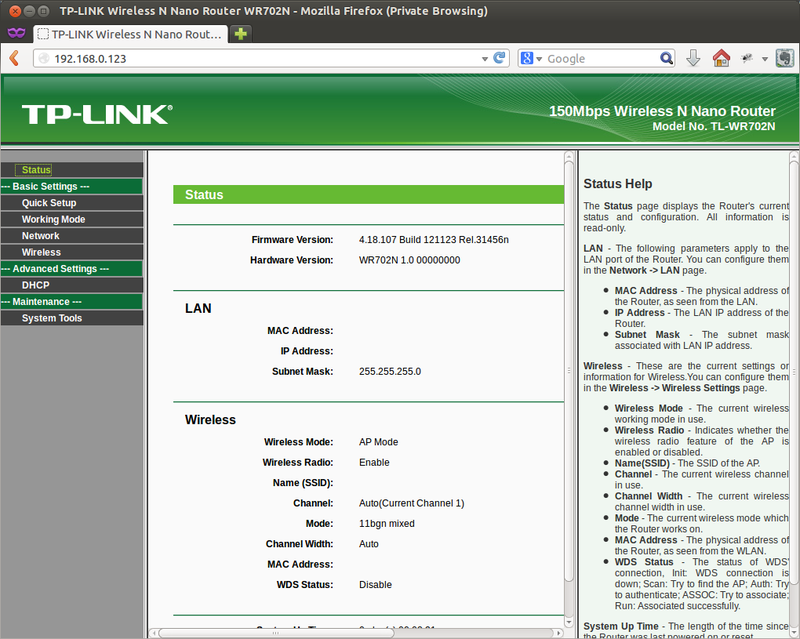 Have the Raspberry Pi auto-connect to the new TP-LINK router’s wireless network when in range, just like my home network. Since I might still be in range of my home network, have the Raspberry Pi try to connect to the TP-LINK first, before falling back to my home network. Ensure the network was relatively secure, since I would be exposed to many more potential threats when traveling. My vehicle has two power outlets. I plug my Raspberry Pi into one outlet and the router into the other. You could daisy chain the router off the Pi. 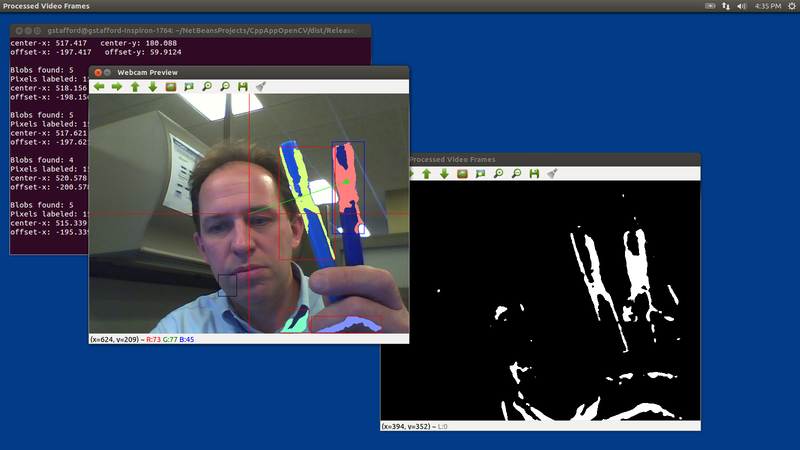 However, my Pi’s ports are in use my the USB wireless adapter and the USB webcam. Using the TP-LINK router, I can easily connect to the Raspberry Pi with my mobile phone or tablet, using an SSH client. When I arrive at my destination, I log into the Pi and do a proper shutdown. 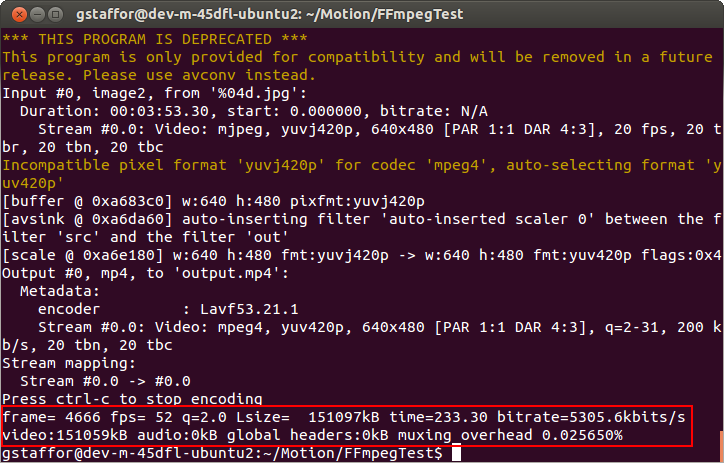 This activates my shutdown script (see my last post), which moves the newly created Motion/FFmpeg time-lapse dash-cam videos to a secure folder on my Pi, before powering down. Of course there are many other uses for the router. For example, I can remove the Pi and router from my car and plug it back in at the hotel while traveling, or power the router from my laptop while at work or the coffee shop. I now have my own private wireless network wherever I am to use the Raspberry Pi, or work with other users. Remember the TP-LINK can act as a router, access point, client, bridge, or a repeater. Before configuring your Raspberry Pi, the first thing you should do is change all the default security related settings for the router. Start with the default SSID and the PSK password. Both these default values are printed right on the router. That’s motivation enough to change! Additionally, change the default IP address of the router and the username and password for the browser-based Administration Console. Lastly, pick the most secure protocol possible. I chose ‘WPA-PSK/WPA2-PSK’. 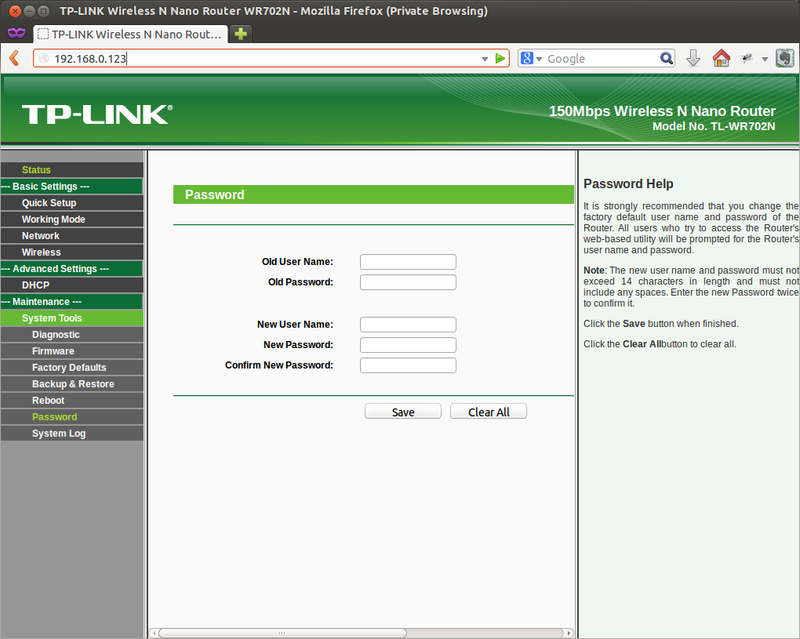 All these changes are done through the TP-LINK’s browser-based Administration Console. In an earlier post, Installing a Miniature WiFi Module on the Raspberry Pi (w/ Roaming Enabled), I detailed the installation and configuration of a Miniature WiFi Module, from Adafruit Industries, on a Pi running Soft-float Debian “wheezy”. I normally connect my Pi to my home wireless network. I wanted to continue to do this in the house, but connect the new router when traveling. 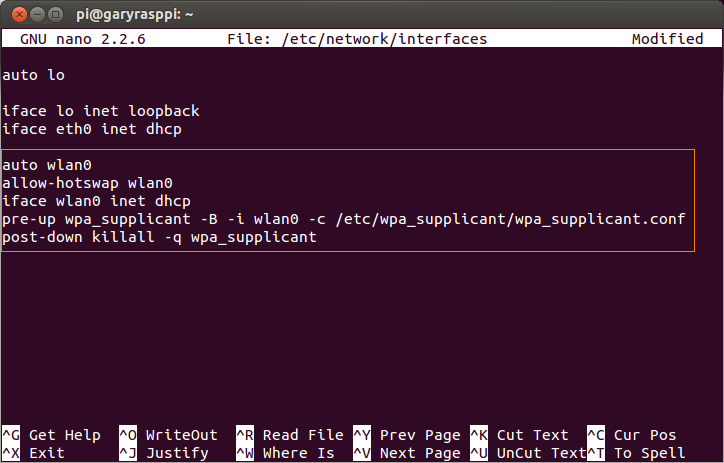 Based on the earlier post, I was already using Jouni Malinen’s wpa_supplicant, the WPA Supplicant for Linux, BSD, Mac OS X, and Windows with support for WPA and WPA2. This made network configuration relatively simple. If you use wpa_supplicant, your ‘/etc/network/interfaces’ file should look like the following. If you’re not familiar with configuring the interfaces file for wpa_supplicant, this post on NoWiresSecurity.com is a good starting point. First, I generated a new pre-shared key (PSK) for the router’s SSID configuration using the following command. Substitute your own SSID (‘your_ssid’) and passphrase (‘your_passphrase’). 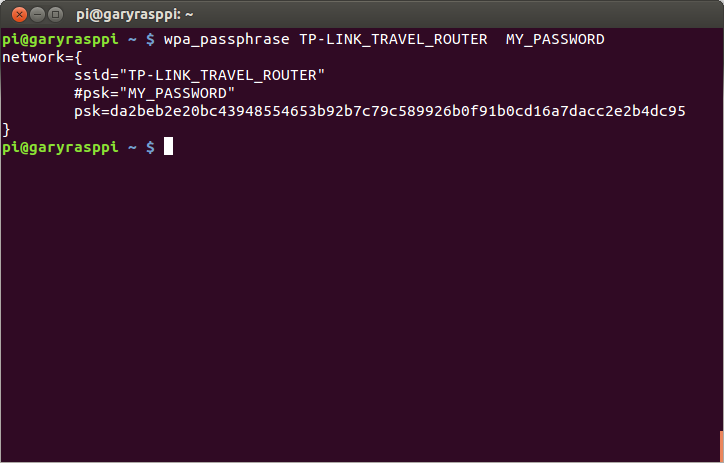 Based your SSID and passphrase, this command will generate a pre-shared key (PSK), similar to the following. Save or copy the PSK to the clipboard. We will need the PSK in the next step. I added the second network configuration, similar to the existing configuration for my home wireless network, using the newly generated PSK. Below is an example of what mine looks like (of course, not the actual PSKs). Depending on your Raspberry Pi and router configurations, your wpa_supplicant configuration will look slightly different. You may wish to add more settings. Don’t consider my example the absolute right way for your networks. 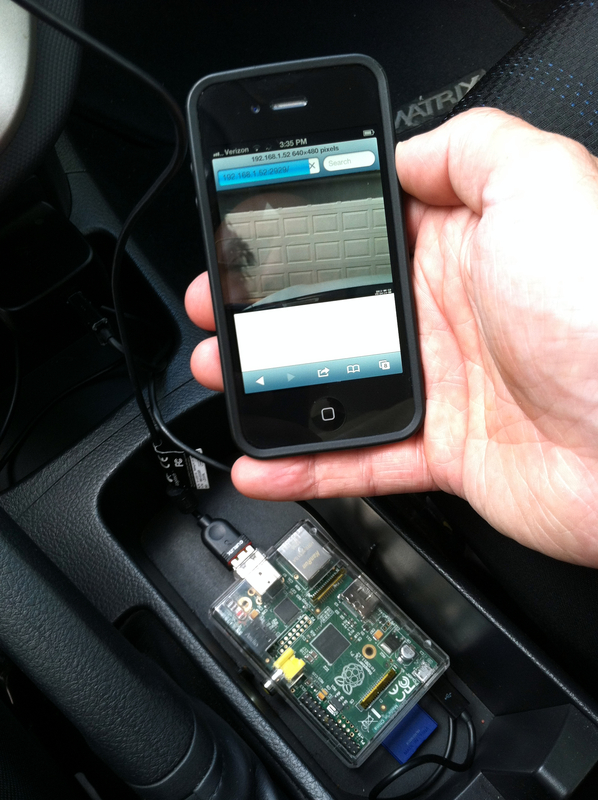 If you want an easy, inexpensive, secure way to connect to your Raspberry Pi, in the vehicle or other location, a travel-size wireless router is a great solution. Best of all, configuring it for your Raspberry Pi is simple if you use wpa_supplicant. Want to keep an eye on your home or business while you’re away? Maybe observe wildlife close-up without disturbing them? Or, keep an eye on your kids playing in the backyard? Low-end wireless IP cameras start at $50-$75 USD. Higher-end units can run into the hundreds of dollars. Add motion detection and the price raises even further. How about a lower-cost solution? Using a Raspberry Pi with an inexpensive webcam, a wireless WiFi Module, and an optional battery pack, you can have a remote, motion-activated camera solution, at a fraction of the cost. Best of all, you won’t need to write a single line of code or hack any electronics to get started. 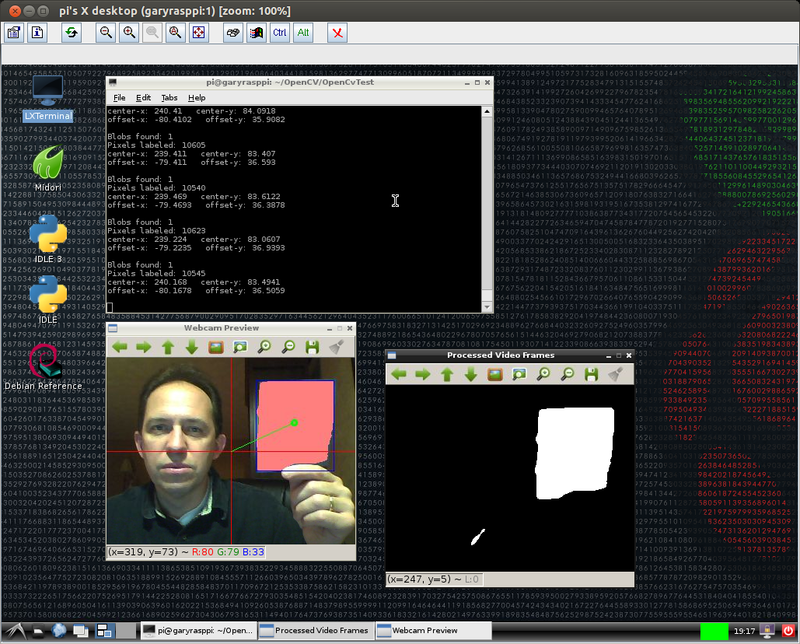 There are many posts on the Internet, demonstrating how to build a Raspberry Pi-powered motion-activated camera system. One of the more frequently used off-the-shelf applications for these projects is Motion. According to their website, ‘Motion is a program that monitors the video signal from one or more cameras and is able to detect if a significant part of the picture has changed; in other words, it can detect motion‘. 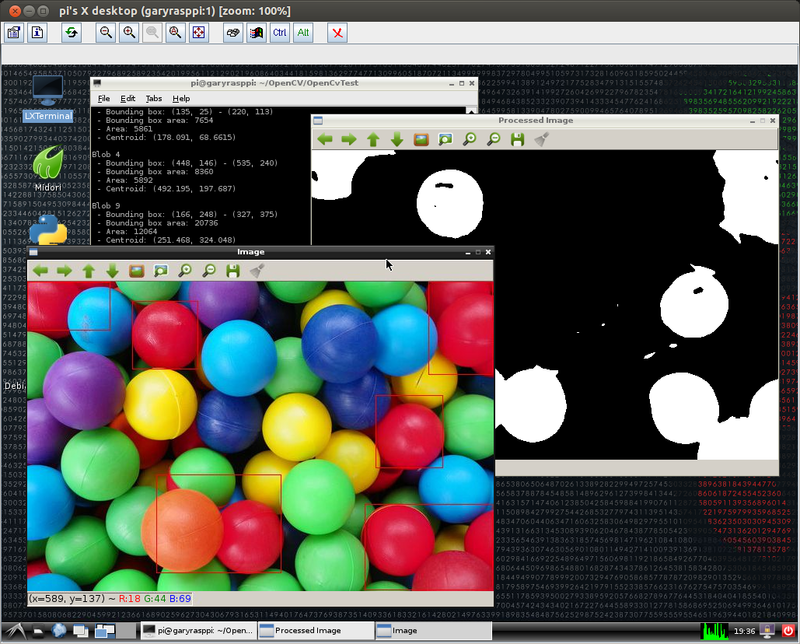 Motion uses a technique known as visual motion detection (VMD) to compare a series of sequential camera frames for differences at a pixel level. A change between a series of sequential frames is an indication of movement. Motion has the ability to stream images from a webcam and server them from it’s built-in web server, with little or no configuration. 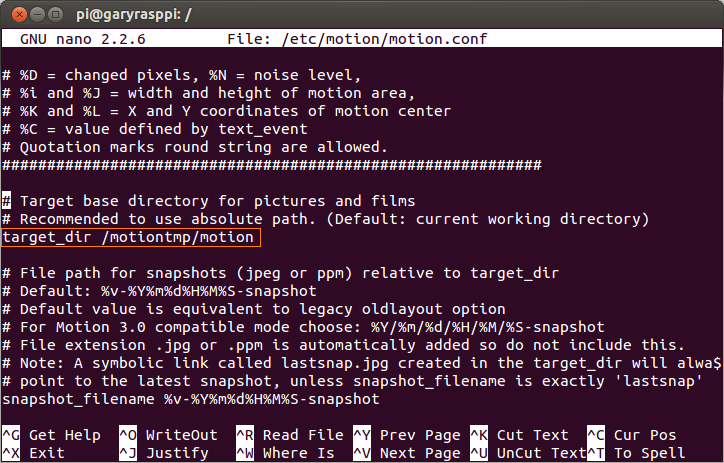 In addition, Motion is easily configured to work with streaming video applications like the very popular FFmpeg, and save images to databases like mySQL or PostgreSQL. 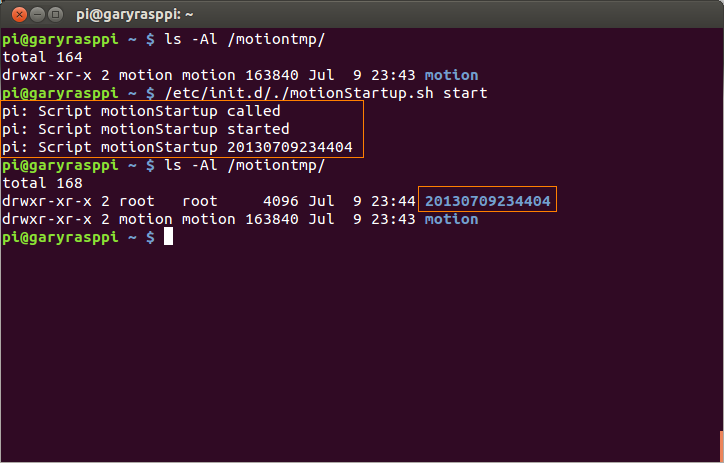 Motion can also execute external scripts such as python or shell. In this post, we are going to use Motion’s most basic features, motion detection and web-streaming. Before installing Motion, I recommend ensuring your Raspberry Pi is up-to-date with the latest software and firmware. Updating firmware is not necessary. 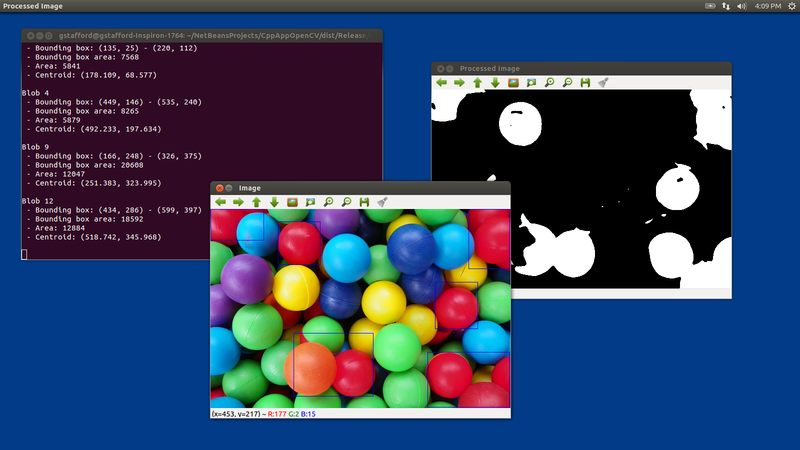 However, I was recently helping someone with camera issue on their Raspberry Pi. Finding a few suggestions online for similar problems, we updated the firmware on the Raspberry Pi. It fixed the problem. Installing firmware can sound a bit intimidating. However, Liam McLoughlin (hexxeh) has made the process easy with rpi-update. I have used it successfully on multiple Raspberry Pi’s. Three commands is all it takes to update your Raspberry Pi to the latest firmware. If you don’t do this on a regular basis, as recommended, these could take up to several minutes. Watch for errors. If there are any errors, try to run the command again. Sometimes the Raspberry Pi cannot connect to all code repositories for updates. 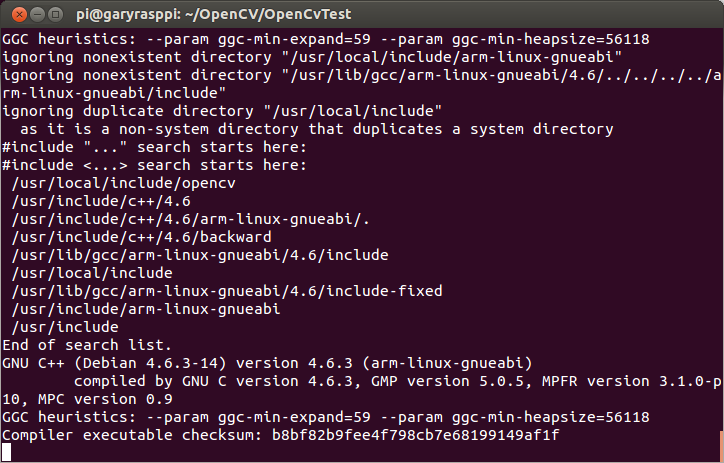 As the installation completes, you should see a warning in the command shell about Motion being disabled by default. [warn] Not starting motion daemon, disabled via /etc/default/motion ... (warning). 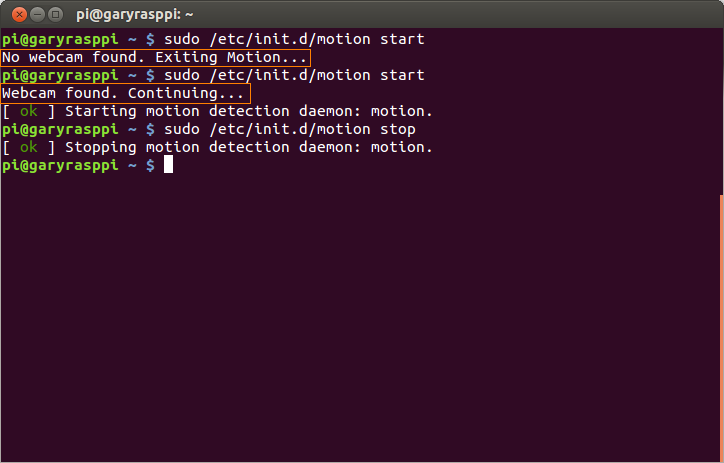 To enable Motion (the motion daemon), we need to edit the /etc/default/motion file. Change the ‘start_motion_daemon‘ parameter to ‘yes’. Motion is easy to customize with loads of parameters you can tweak based on your needs. Motion has no GUI. All configuration is all done through Motion’s configuration file (/etc/motion/motion.conf). Before editing the configuration file, we need to change the permissions on it, so Motion can get access to it. While we are at it, we will also change permissions on the folder where Motion stores captured images. The first thing you will want to change is Motion’s default setting that restricts image streaming to ‘localhost‘, only ( ‘webcam_localhost on‘). This means you can only view images in a web browser on the Raspberry Pi, not remotely over your network. 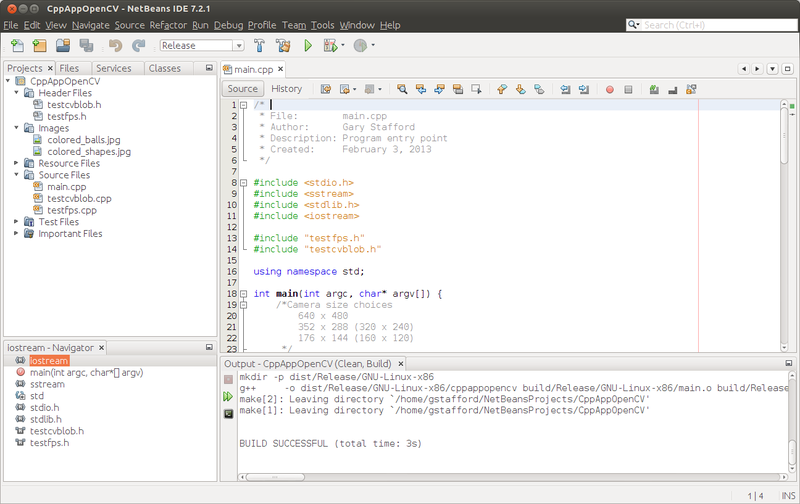 Change that line of code to read ‘webcam_localhost off‘. The next setting I recommend changing for security purposes is the default port Motion’s web server uses to stream images, 8081. Security through obscurity is better than no security at all. 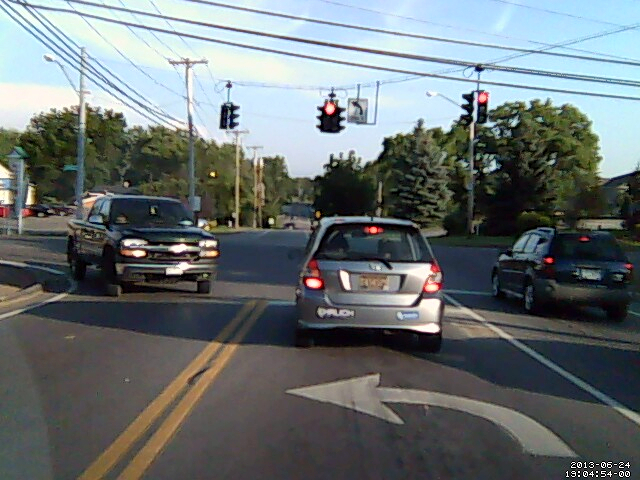 Change port 8081 to a different arbitrary port, for example, 6789 (‘webcam_port 6789‘). Just make sure you don’t pick a port already in use by another service or application. Having made this change, if your Raspberry Pi’s local IP address is 192.168.1.9, images from the webcam should be accessible at 192.168.1.9:6789. The other two settings in this section you can play with are the webcam quality and maximum frame-rate. You will have to adjust this based on your network speed and the processing power of your Raspberry Pi. The default settings are a good place to start. I changed my quality from the default of 50 to 80 (‘webcam_quality 80‘), and changed my max frame-rate to 2 (‘webcam_maxrate 2‘). Speaking of quality, the other two settings you may want to change are the width and height of the image being captured by Motion. The ‘Capture device options’ section is where we change these settings. As the configuration’s comments suggest, these settings are dependent on your camera. Check the camera’s available image sizes; you will need to use one of those size combinations. I have mine set to an average size of 352 x 288. This is a good size for those of us with a slower network, or when streaming video over the Internet to mobile web browser. Conversely, a larger image is better for viewing over your local network. Image size, like compression quality, and frame-rate are dependent on processing power of your Raspberry Pi and it’s OS (Raspbian, Debian, Arch, etc.). You may need to play with these settings to get the desired results. I couldn’t stream images larger than 352 x 288 over the Internet, with my Raspberry Pi, even though my webcam could capture up to 640 x 480 pixels. It’s important to remember, each time you make changes to Motion’s configuration file, you must restart Motion, using the following command. 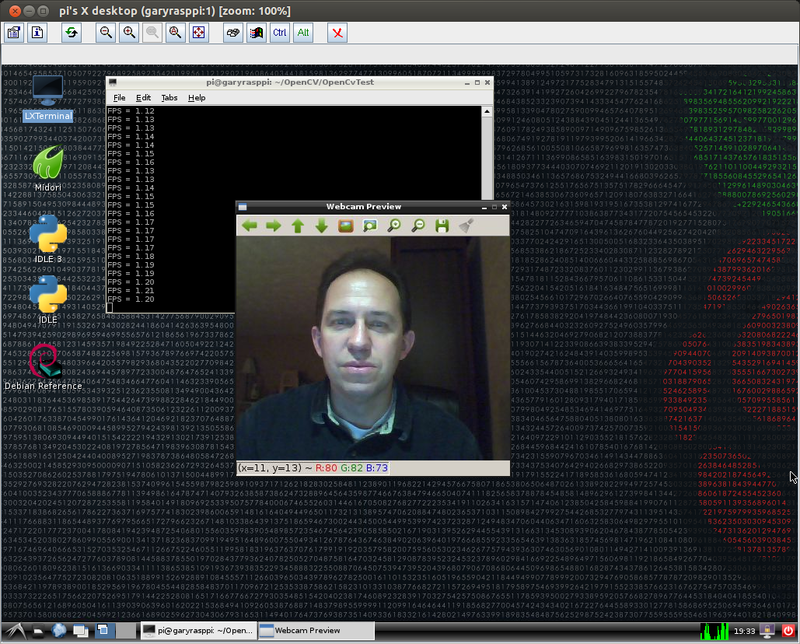 To view your webcam’s output from another device on your local network, point your web browser to the IP address of your Raspberry Pi, and add the port you assigned in Motion’s configuration file. Motion may take up to 15-20 seconds to start responding in the browser. If it takes longer, you probably have your image size, frame-rate, and compression settings to high for your Raspberry Pi. Enabling your webcam’s output over the Internet is relatively easy with the average home router and Internet service provider. Suppose the IP address of my Raspberry Pi, on my local network, is 192.168.1.9. Suppose I assigned port 6789 to Motion’s web server. Lastly, suppose my router’s external Internet IP address is 113.45.67.88. With this information, I can create a port-forwarding rule in my router, allowing all external HTTP traffic over TCP to 113.45.67.88:3456, to be automatically forwarded internally to 192.168.1.9:6789. The external port, 3456, is totally arbitrary, just make sure you don’t pick a port already in use. IMPORTANT SECURITY NOTE: There are no passwords or other network protection used with this method. Make sure to keep the external IP address and port combination private, and always stop Motion, or better yet your Raspberry Pi, when not in use. Otherwise, someone could potentially be watching you! I recommend using a static IP address for your Raspberry Pi, versus DHCP, if possible. Else, you will have to change your router’s port-forwarding rules each time your Raspberry Pi’s DHCP lease is renewed and its local IP address changes. There are some ways to prevent addressed from changing frequently with DHCP, if your router supports it. Look for configurable lease times or reservations options in your router’s configuration; these may be able to be extended. What is your router’s external Internet IP address? To find mine, I looked in Netgear’s Router Status window. You can also use a ‘tracert’ from the command line, if you know what to look for in the output. Since I do not pay my Internet-provider for a static external Internet IP address, the address my provider assigns to my router is dynamic. It can and will change, sometimes almost never, or sometimes daily. The frequency of change depends on your provider. To view your webcam’s images, you will need to know your router’s current external Internet IP address. 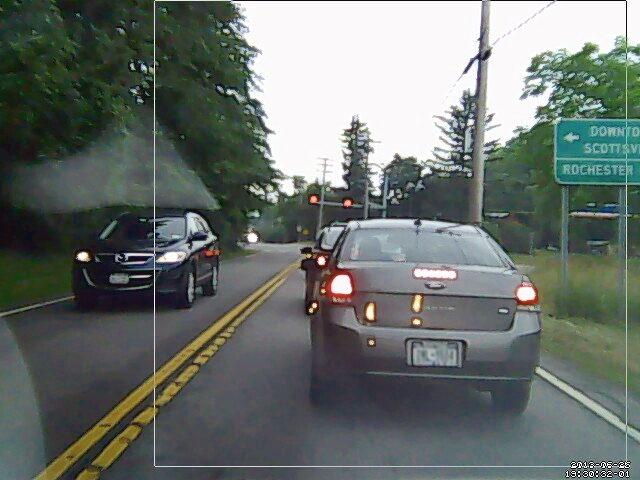 Here are some example from a Microsoft LifeCam VX-500 and Logitech Webcam C210 webcams. The highest quality I could consistently stream over the Internet, from my Raspberry Pi 512Mb Model B, with both Soft-float Debian “wheezy” and Raspbian “wheezy”, was 352 x 288 at 80% compression and 2 fsp max. Locally on my LAN, I could reach a frame size of 640 x 480 pixels. In the first example, I’ve placed the Raspberry Pi in a plastic container to protect it, and mounted the webcam in a flower box. 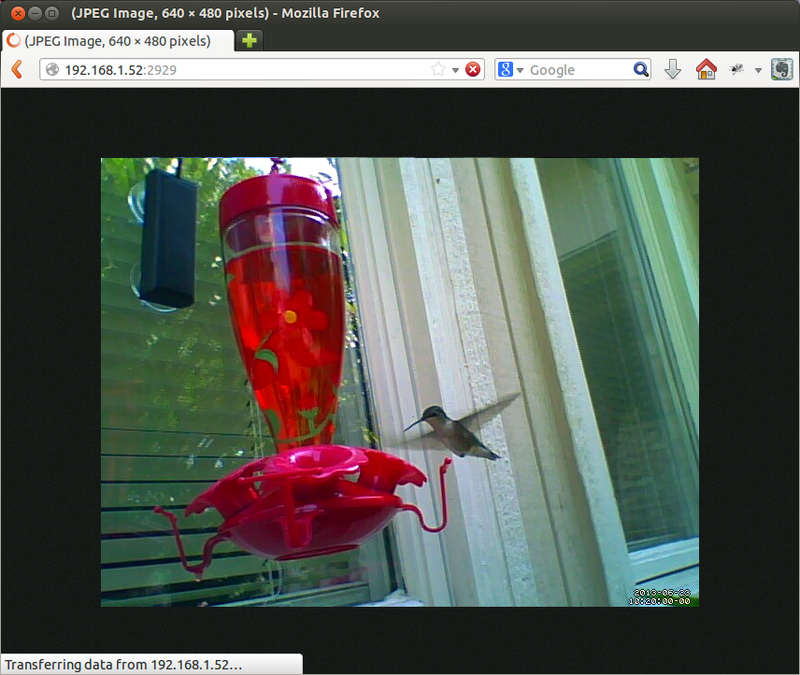 Viewing the feed over my local network, we are able to watch the hummingbirds without scaring them. In the next two images, I’ve turned on Motion’s ‘locate box’ option, which tracks the exact area within the image that is moving. 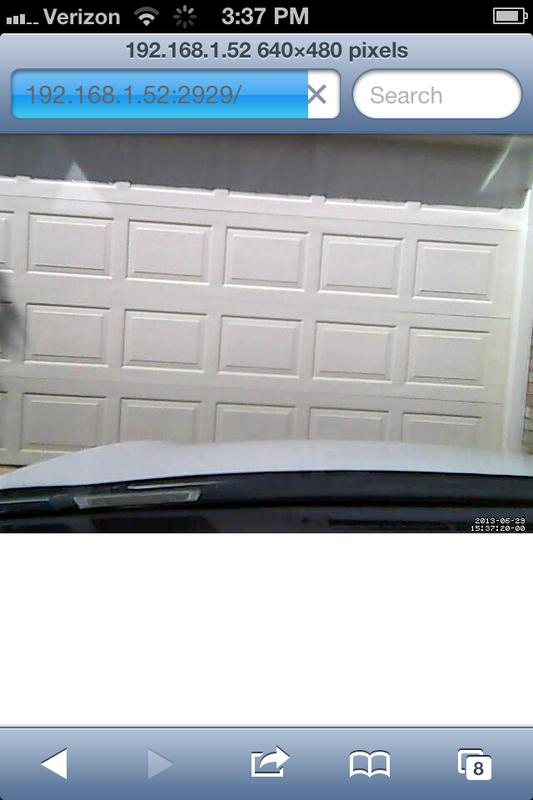 As the person come into view of the camera mounted near the front door, Motion detects and outlines the area of the images where it detects movement. In the next video, you see the view from a Google Nexus 7 tablet. My wife and I use the Raspberry Pi surveillance system to watch our backyard when our kids are outside (the camera is no substitute for adult supervision when the kids are in the pool). This last image is from my iPhone, while shopping at the local grocery store. My wife was impressed with my port-forwarding knowledge. OK, not really, but she did enjoy showing off the Christmas tree to friends, remotely, even if it wasn’t in motion.